As a critic, I always believe that a work should be able to stand on its own, that you don't need to be a fan of something in order to comment on an artistic work—be it a painting, play, game, or anime. But as someone who is very much immersed in the culture of anime, it is often hard to imagine how some of my own favorite series look to a non-fan. So I am always interested in seeing a review done by someone completely on the outside—as seen in this two-hour (12 part) video review of Madoka Magica. Chuck Sonnenburg, better known by his internet handle SF Debris, is not an anime fan. He is, however, a die-hard sci-fi fan. Since 2008 he has been producing video reviews of everything from Doctor Who to Star Trek, Red Dwarf to Babylon 5—and even, once, an episode of My Little Pony: Friendship is Magic. These reviews, while often filled with more than a little (vastly entertaining) sarcasm and snark, are excellent critiques filled with deep literary analysis and serious contemplation of the work. And while he has, because of fan requests, looked briefly at some anime in the past (the Evangelion Rebuild films, Ghost in the Shell and two episodes of Cowboy Bebop) he has never before looked at an entire anime series episode by episode—and certainly not one about magical little girls. 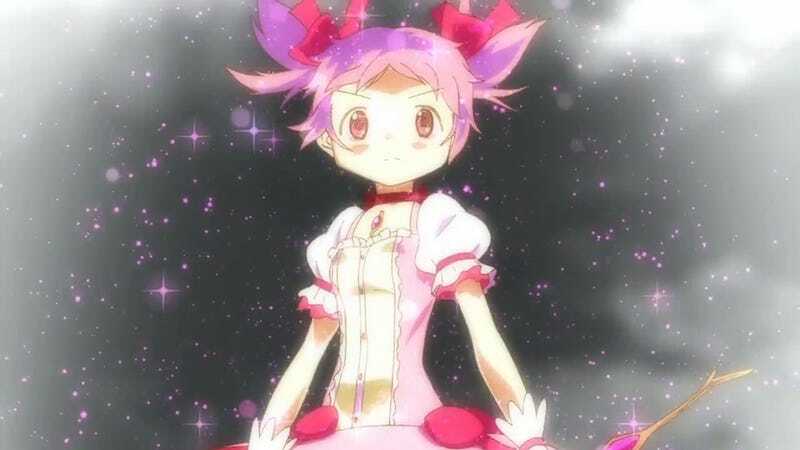 But as fans of the show already know, Madoka Magica is far from your average magical girl anime. Rather, it is a brutal deconstruction of that very genre—which makes Sonnenberg’s commentary a very entertaining review. So check out his review of the first episode above—and then head on over to his homepage for the rest of them—to see just how well Madoka Magica stands up on its own when all the cultural anime context is removed. And remember kids. Just say no to bunny-cats. Bunny-cats are dicks.